Want to diversify your sales, expand, or grow into international markets? 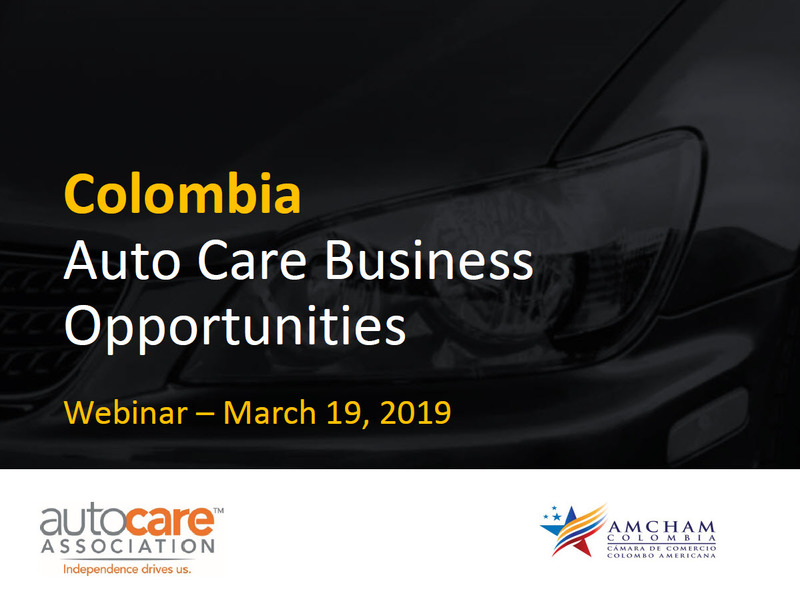 This complimentary webinar on Colombia will feature first-hand auto care market insight from the American Chamber of Commerce in Colombia. Participants raised questions and had their specific interests addressed during the webinar.